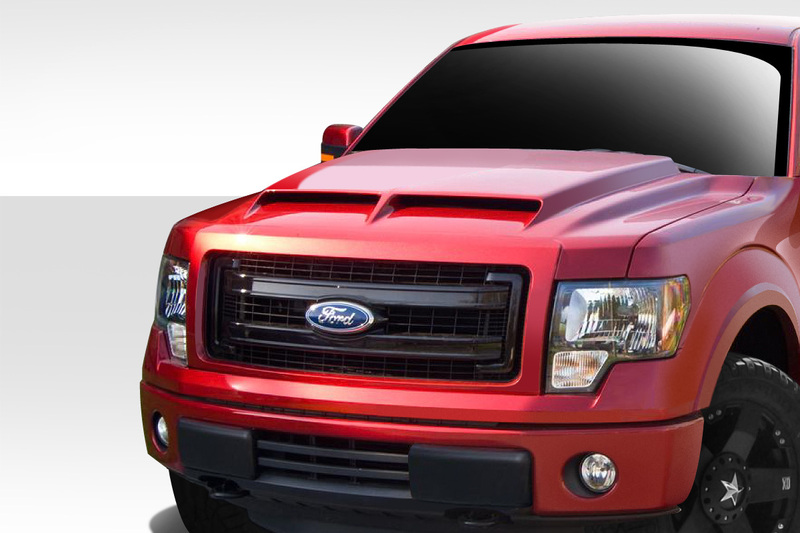 In the market for a new F150 custom hood or body kit? 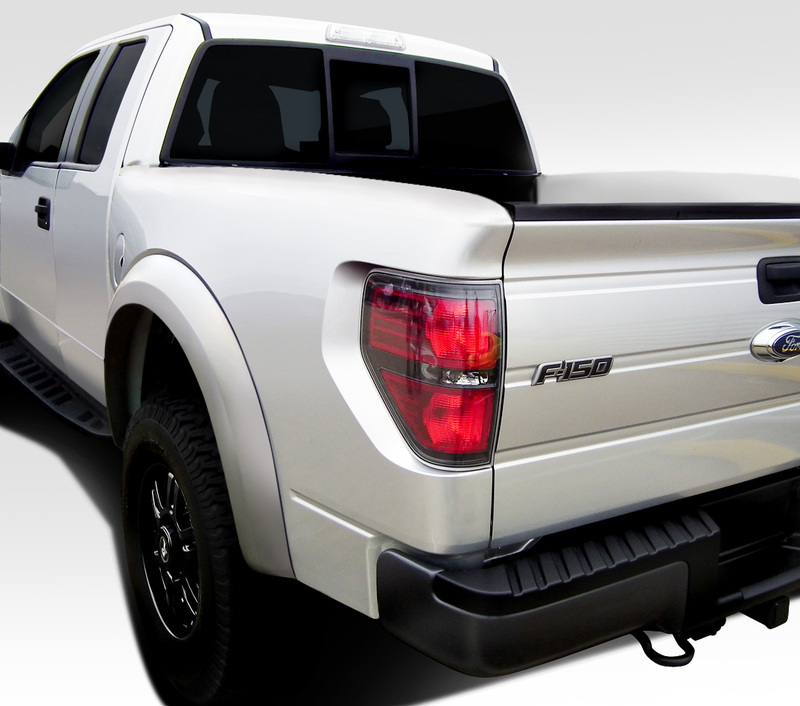 We offer several styles for the new body style F150. In 2015 Ford hit a home run with its new redesigned F150. 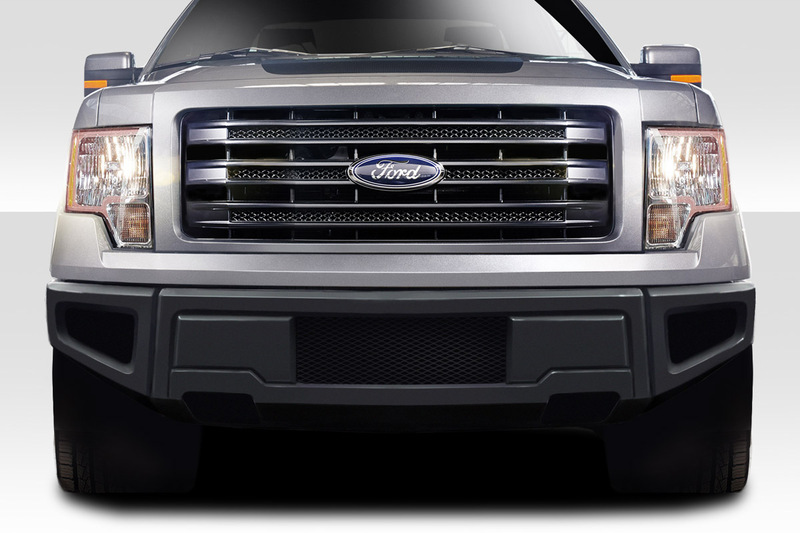 The new F150 introduced a real change in direction in styling and bold new front end design. The lights of the new F150 are very distinct and easily recognizable. However this does not mean the styling cannot be improved on and customization is quite popular for these trucks. 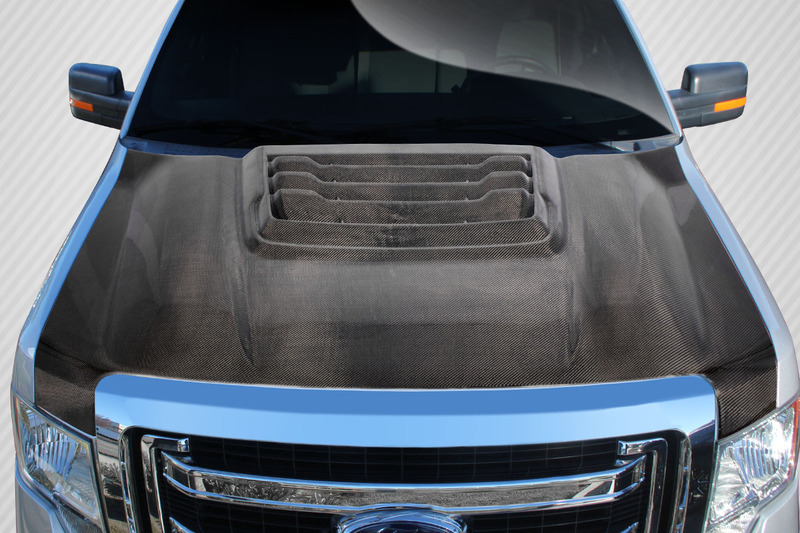 At Driven By Style LLC we offer 4 unique fiberglass hoods for the 2009-14 model Ford F150. We also offer 3 more ultra lightweight carbon fiber hoods. We offer styles that include cowl designs that add clearance in the engine bay. Additionally we also offer vented hoods that improve cooling efficiency. By allowing cool air in and providing a path for hot air to escape you can do your truck a huge favor for longevity. Since it’s release the F150 Raptor has been the envy of base model owners everywhere. Not everyone can afford a premium priced Raptor but now you can have that styling on your model. 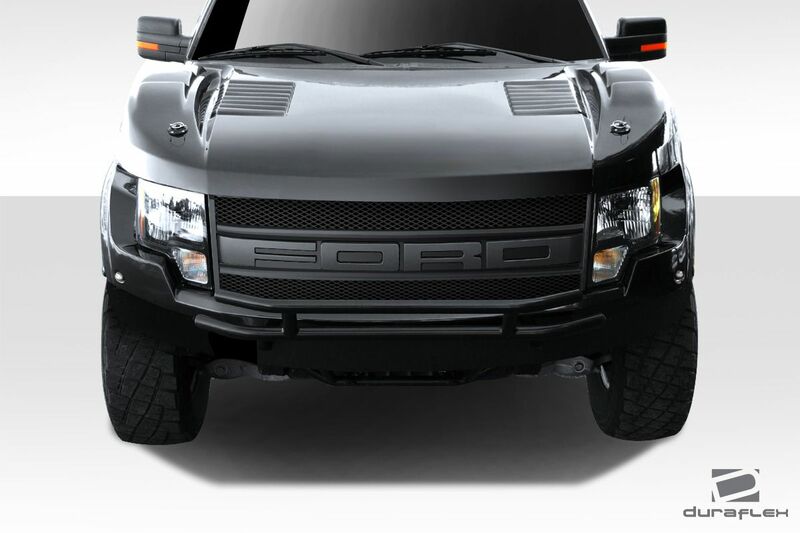 The Raptor front bumper design adds aggressive styling that is sure to get you noticed everywhere you go.